HARE - Let us have a race to decide who is superior. The one to finish first is the winner! WARP - Superiority, eh?? 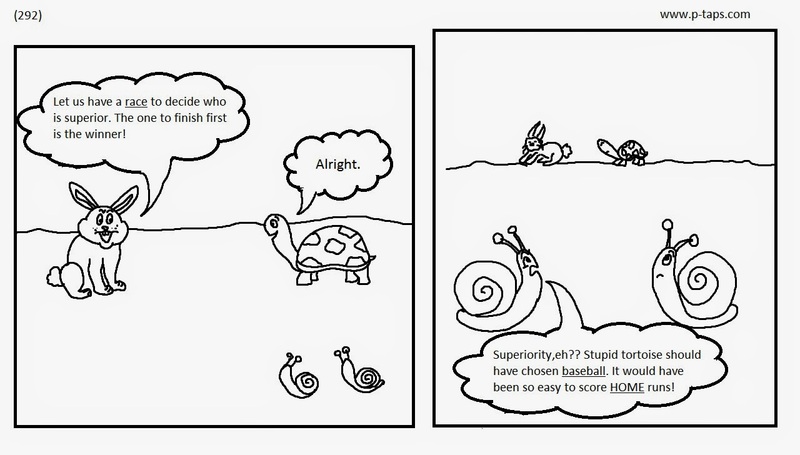 Stupid tortoise should have chosen baseball. It would have been so easy to score HOME runs!